I have been a planner since way back before there were even a such thing as planning communities. Making lists, writing to-do’s and managing my time just made sense. 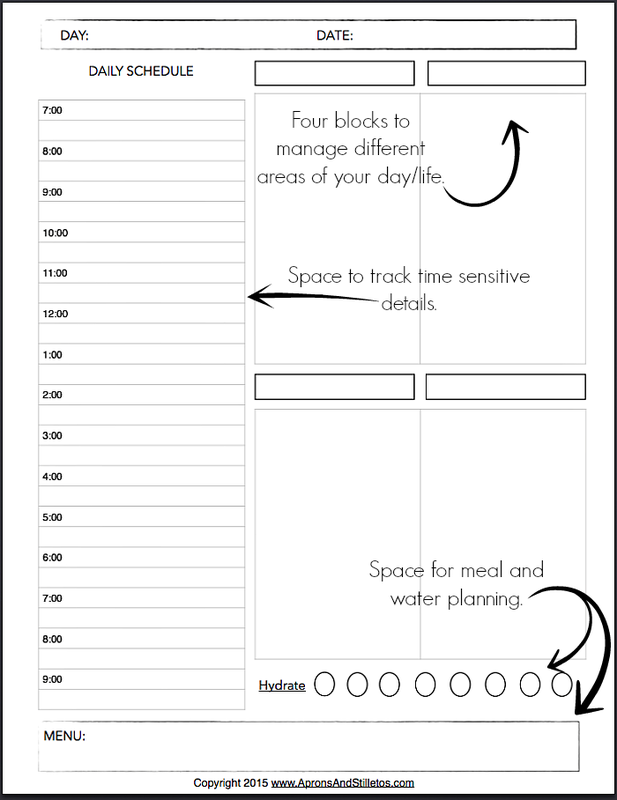 This printable daily planner packet from my monthly planner packet let’s me see everything I need to accomplish and remember for the day in one spot. I start and end each day with a quick planning session where I write down all of my to-do’s, appointments and important stuff to remember. My daily planning sheet has two sides that help be organize my day. On the left there is a timed column where I jot down time sensitive tasks and on the right there are columns where I group task related to home, work, kids and me (or personal). On my printable daily planner sheet the headers on the right are left blank so you can label them however you like. I like to customize my sheet with drawings, colors and washi tape. I created a video showing you how I set up some of my planner sheets using markers, drawing and tape. Go ahead and download this months daily planner packet, then watch my video for examples of how to decorate and fill your sheets in. If you are a visual learner, be sure to subscribe to my YouTube channel where I create tutorials and videos for women like us. Oh wow. This looks so similar to mine, I had to do a double take to see if was mine lol Mine is set up nearly the same way. It's all filled in though. I love planners and this one looks really nice. I always forget things, so a planner is a must for me. I really need to do an official planner. I have about 4 notebooks that I write everything down in but I would like to have it all in one place. 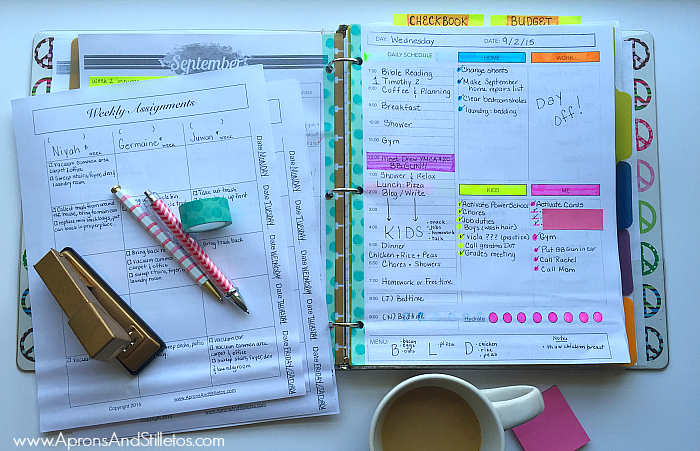 You make your planner so much fun that it would be a pleasure to refer to it each day! Great ideas! I love your planner! I am obsessed with planners, as well. I think I got that from my mom! This is a much better planner than those that are store-bought. I love all the large spaces you can write in, plus the reminder to hydrate! I need something like this. I am all over the place and I forget too many things. These planners would be PERFECT! I love planners! I have tons of washi tape, stickers and different colourful markers and pens to decorate my planner. 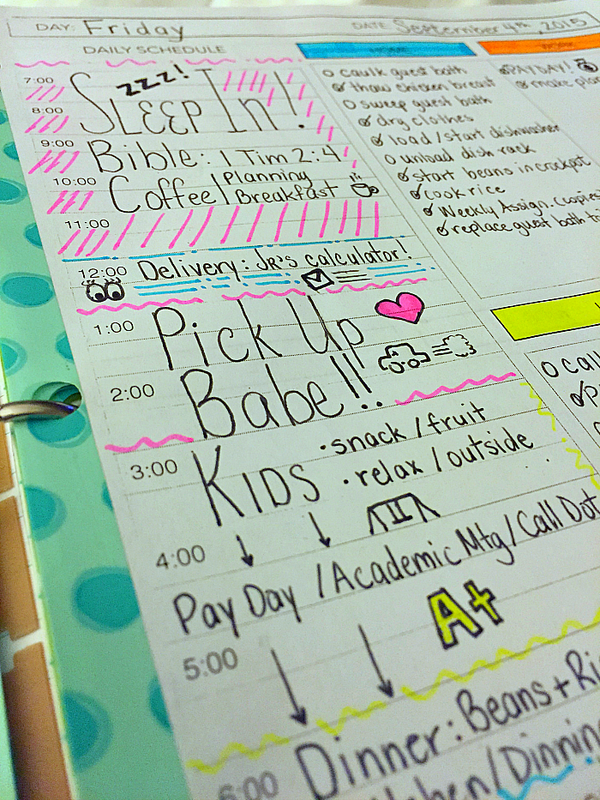 Your planner looks gorgeous! I would be completely LOST without a planner. My whole life is in mine.